The book is the story of a young American girl living in South Africa during the early years of apartheid (1948-1960). One of six children of a Swedenborgian minister who was sent to South Africa to establish a theological school for Africans, the author reaches back into this unique time and place in an effort to rediscover the culture that influenced her own adult attitudes. Rather than following a strictly chronological format, the story is laid out in a series of verbal snapshots, supported by photographs. Family life, experienced through the eyes of a child living in a complex environment, contrasts with the lives of those who were impacted by the institutionalized racism of apartheid. Examples of the Acts of apartheid at the end of each chapter include news articles, interviews, and commentary. Deep childhood fears of some unnamed threat are represented by home invasions, wildfires, and the cry of a hyena in the mountains. The mountains are dangerous, they present a great barrier, but they can be conquered. After returning permanently to America as a teenager—through a confusing and sometimes painful process of discussion and observation—the author uncovers those artifacts of the past that inform her place in the world today. In the Shadow of the Dragon’s Back author interview from MiLo Studios on Vimeo. 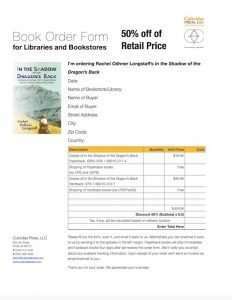 There are several ways to buy the book. You can get copies of In the Shadow of the Dragon’s Back directly from us (choose the version and number of copies you want to buy using the drop-down menu below, then click on the Add To Cart button and follow the instructions). Rachel Longstaff perfectly captures the innocence of childhood, of growing up in a peaceful, happy and supportive home set in a beautiful, sub-tropical environment. Her depictions of a childhood in a decade long past conjure up images of what life should be like, the kind of life many might wish they had experienced. And yet, at the edges of the security and serenity of her home, the darkness of Apartheid, the “Shadow of the Dragon’s Back,” was rapidly beginning to blot out the light—even though her understanding of what this shadow was, would take years to develop. 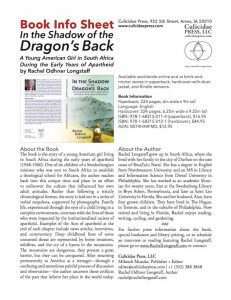 Apartheid was the “Dragon’s Shadow,” a dragon dedicated to devouring the people in its path to establish and maintain its power. No matter how carefully parents tried to shield their children from the shadowy tentacles, they could not completely hide the effects of the growing series of draconian laws underpinning the policies of white supremacy. Nor could they protect them from the results among the increasingly oppressed people around them, from the disparity between the white beneficiaries of the laws, and the black victims hidden in the dragon’s shadow. The innocence of childhood insulates us from many of the realities of life, especially when there is a concerted effort to conceal them, but that protection is imperfect at best. The author highlights the dragon’s shadow as it fell, often unknown to her, on the idyll of childhood. The bald presentation of the laws enacted by the Nationalist government in the 1950s stands in stark contrast to the innocence of her childhood. The irony in the comparison lies in the Nationalists’ thought that these laws existed precisely to preserve her lifestyle, to protect her. Instead they were a slow poison for that lifestyle, as for Rachel Longstaff and countless other young, white South Africans, innocence became tinged with fear, with a sense that something was not right. Eventually innocence becomes artificial, maintained at the expense of those black South Africans whose lives were destroyed to satisfy a governmental policy. And with this came a sense that the situation could not last, and a dread of how it was going to end. Every dragon needs a St. George to slay it, a voice for the voiceless. It is a great relief, in reading descriptions of the various Apartheid laws—the shadow itself—to see flickers of light of those who stand opposed to Apartheid: the light of Nelson Mandela and his colleagues, the Black Sash, the English press, those who were banned for speaking out. At the time these voices were a weak opposition to the dragon, but the fact that they were there lent a long hope that eventually the dragon would be beaten back. 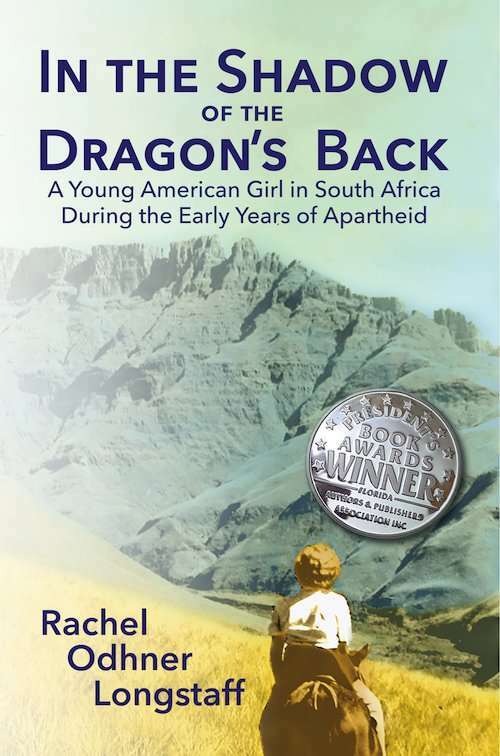 “In the Shadow of the Dragon’s Back” deftly places these two realities side by side: the innocence of childhood and the creeping force of Apartheid, forces inimical to each other, existing in the same place at the same time. The result is compelling reading. As someone who grew up in the next decade, the 1960s when Apartheid was firmly entrenched, so many of the descriptions of childhood and its juxtaposition with Apartheid described in this book took me back to very similar experiences in my own childhood, to memories buried by not forgotten. South Africa has moved on from the Apartheid established in the 1950s, but the shadow remains in many places, reminding us that innocence lost is very hard to regain. Andrew M.T. 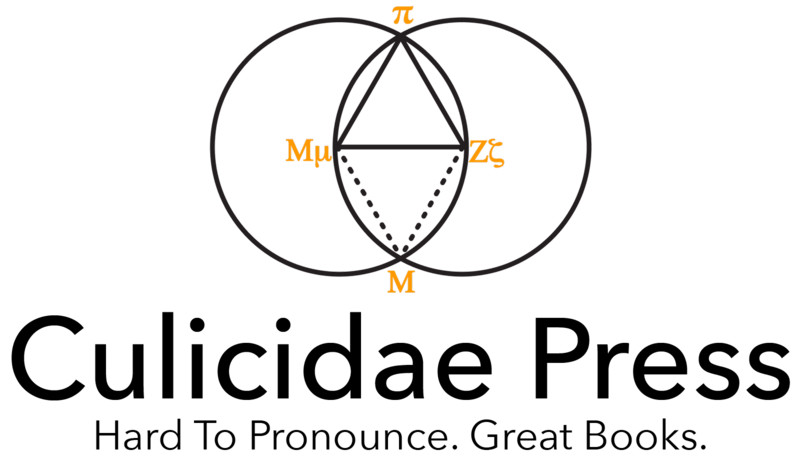 Dibb, M.Div., D.Th. Rachel Longstaff grew up in South Africa, where she lived with her family in the city of Durban on the east coast of KwaZulu Natal. She has a degree in English from Northwestern University and an MS in Library and Information Science from Drexel University in Philadelphia. She has worked as an academic librarian for twenty years, first at the Swedenborg Library in Bryn Athyn, Pennsylvania, and later at Saint Leo University in Florida. She and her husband, Alan, have four grown children. They have lived in The Hague, in Toronto, and in the suburbs of Philadelphia. Now retired and living in Florida, Rachel enjoys reading, writing, cycling, and gardening.